It has been awhile since the crew of MaltGeeks have met and sampled some drams, life can do that to people, but not all is lost, we are planning a meeting in the following weeks and with luck we will open a bottle or two to sample and report on. All are new to us and would be interesting to sample. I will start by saying that living in the UK has made me spoiled rotten when it comes to whisky events, that being said the I will now give my review on the event and the whiskies I have sampled during Whisky Live Tel Aviv 2015. To start of the entrance funnel was also the exit, which made coming in or going out very difficult as you had to push your way past the masses going the other way (which ever it might be in that particular moment in time). Once you made it in there wasn’t any flow to the positions of the presentations and placement of booths, I suspect that this is due to the variety of importers and the amount each was willing to pay for their position. The options for sampling, considering the heritage of the name “Whisky Live” was rather limited and catered to the more well-known expressions from the distillers and parent companies, with some exceptions to the rule. Some Brand ambassadors and members of the industry were present, but not in a ratio that gave the feel that the companies they represent don’t care much about the local market. One of the main attraction in this event was meant to be the new local distillery, and you’d think they will put them front and centre so they can be easily accessed, but they were hidden in the corner off the main hall. Given all that, the event gave you large serving bars in the main hall with 7 major Drams available and each had it’s industry representative (be is brand ambassador or in the event with Tomintoul – The Master Distiller), you had the chance to bottle your own bottle from a selection of small barrels (Rum, Vodka, Whisky, Bourbon) and you could participate in a blind tasting event. Nose: Traces of Sea weeds,citrus, peppers and cloves. Colour:Deep honey, smooth swirl, no legs. Platte:Smooth down, no after burn with a slow release of flavours, traces of Almonds, Caramel, Pines and Bannana. Nose: added traces of Peppers, the aroma is much more pungent almost obtrusive. Platte:Strong after burn, too over powered and a slow release. 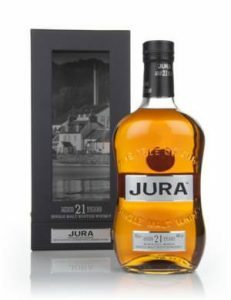 Overall : Nice dram, but nothing out of the ordinary from Jura. Nose : very subtle almost nonexistent hints of smoke and mold. Platte : Just a Burn, but no flavors. Overall : Water ruin the drink, it is a good drink without it and the port finish really shows and feels in the drink. This is a new Jameson expression that I have not sampled before and was very curious to try. I had a nice conversation with the Brand Ambassador Aislinn O’Keeffe, which seemed to have been surprised to find an Irish Dram fan among all the Bourbon and Scot Malt enthusiasts. Nose :Very soft aroma coming from the glass, very faint traces of smoke, some plums and touch of honey. Colour : A like caramel honey, almost hazel. Platte : Very delicate, smooth, almost like a velvet drink – on the border to becoming too smooth, no pungent after burn, traces of Banana and Chocolate. I have not added water to this one – as the stand ran out of water at the time, but I very much enjoyed the Dram and the conversation while drinking it. Overall -I liked this expression, and would like to have another run at with with some water, For any Irish whiskey fan it will be a treat. When approaching the stand for this bottle, I was happy to find the Master Distiller standing near the booth and talking to visitors, we had a wonderful chat and I got an invite for a tour in the distillery(generally closed to the public) when I am next time in Scotland – hopefully not to long till that happens. We talked about places we both know and appreciate in Speyside and he shared my excitement and wonder for the magic of the Fiddich Side Inn , then he suggested the 21 for sampling. Nose :Gentle, full of Pines, Honey, raisins and freshly cut grass. Colour : A strong tea, light golden hue. 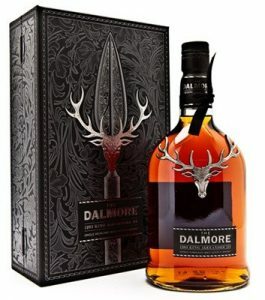 Platte :Chocolate,Peppers,Honey and Vanilla, a wide range of flavors come out of this dram, and it goes down smooth with no strong burn, it has a slow release once down in a good way. Nose : The Pines come out to be more dominant, but other then that no big change. Platte : Again very subtle changes, the Peppers are more extenuated, and a burn is felt. 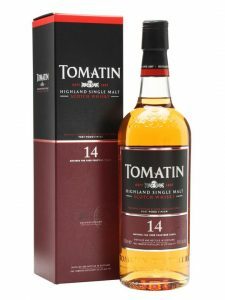 Overall very nice dram, suitable for every day – if not for the price, it is meant to be discontinued due to stock shortage, 4/5 . Dalmore are considered a “exclusive brand” and hence fairly expensive, which is why I have not had the opportunity to sample them in the past, hence I was happy to pay a little bit for the cost of tasting one of the range provided. Nose : Soft drift of smells, Grapes,Honey,Caramel and Pines are felt. Colour : Honey, but it feels like there is some caramel in the coloring too. Platte : Strong burn in the first touch, then the flavors come out: Milk, Citrus,Banana and Peach, and then the after burn comes in with a fast release in the stomach. Sadly no water was available for comparison. Overall – Nice Dram , but not something I would keep in my stock. Did I mention before that I do not like peaty whiskey , well if I didn’t , let me state it loud and clear , I do not like the Peaty Scotch. Yeah , I really don’t like the peat .. the nose wasn’t that bad ,even with the aroma of a slight ashtray coming out of it , what absolutely killed me was the flavors, lots of fruity traces in there but the sensation I was drinking a cigarette in a glass with an alcoholic fruit juice is not my cup of pleasure . I even tried it twice , so it can’t be said that I didn’t give it a fair chance , but in the end all it did was affirm my initial statement – No to Peaty malt. For those of you that do like the smoky malts , this one is a nice one to sample from : nice nose, beautiful color , smooth swirl and an good mouth full of flavors . As for the after taste/burn – I can not say all I felt was the smoke , but I guess that is what some people want in their dram . I wanted to go to this event for a long time ( 4 month), and I was in london free to myself on the day – but I hate to drink alone and I had no one to go to the event with me . I also had a crappy morning before I got in to the city , so all in all I was not in a safe place to go near a location with free (relatively) good booze , so I made the active decision to miss the event and head home , and a good thing i did – I almost fell asleep even with out the booze . I hope to have someone to go to other events I can report back on .